This Monday will mark a momentous event for the Monday Ground Edition. I’ve been publishing this special edition since July 15, 2009 and ever since I began many things have changed. 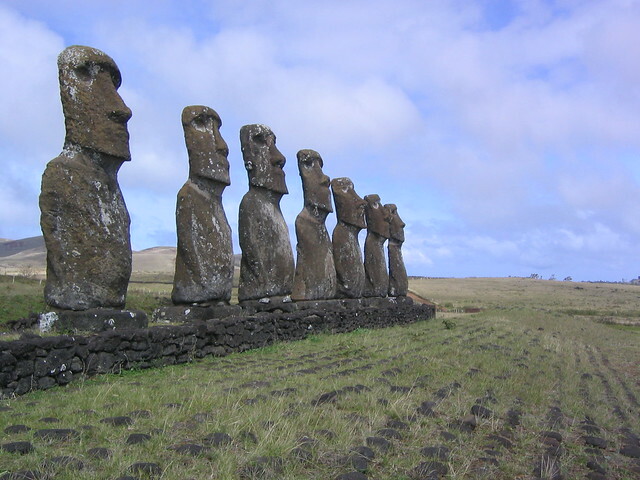 I’ve had some wonderful opportunities to work with some guest writers in the field of archaeology and anthropology, academia, and fellow bloggers. In the beginning I was taking the time every weekend, trying to hit that 1500 word mark to make the editions not only teach you the reader something new, but also entertain. I hope I, as well as my fellow contributors, were able to do this for you. I suppose when your material starts to show up on USAToday, Treehugger.com and Discovery News, you are actually making a dent. My question for you is what can be changed? Or should everything stay the same? I’d like to know what topics you would like to see explored and I’d like to give my writers a chance to provide the research for you on Ancient Digger. I’ve had several individuals express the need for some Prehistory topics and more Genetics. This is not my area, but I have the writers for these particular topics. So if you could take some time out of your hectic and busy lives, please let me know in the comments section or use the contact us form to express your ideas. I’d also like to include a contest every month, but I’m working on the details for that and what the prize will be. It seems making a video for the Tell Tails Week was a bit too time consuming for some so I’m trying something a bit more fun and easy to work with. The winner will most likely win an Ancient Digger T-shirt to wear proudly around town. I’ve already sent many to my friends and family and I can already tell it’s making a difference. If you have any ideas for contests appropriate for Ancient Digger, please don’t hesitate to speak up! Thanks again for your amazing support and readership. I can’t tell you how much I’ve learned from all of you. Your emails and messages have helped me stay in the know so to speak. You challenge me and inspire me to keep going everyday. Ancient Digger is only getting bigger and better so stay tuned. Thingvellir is a national park situated in Bláskógarbyggð in southwestern Iceland, near the peninsula of Reykjanes and the Hengill volcanic area. Not only does this glorious location offer natural landscapes to the many visitors every year, but the site embodies Iceland's political, social, and religious history. Otto von Bismarck was not moved by national unity, although he felt compelled to manipulate it instead of using it for a guide in political affairs. His quest was to obtain internal stability for the Hohenzollern monarchy and more external power for Prussia. However, Austria refused to accept dual supremacy over Germany on a foundation more favorable to Prussia. After the defeat of Napoleon, there was a desire to convert back to the old order to contain revolution and revolutionary forces. This was attempted by a peace settlement in 1814 including four major enemies that used several approaches to eliminate the infighting within the global powers. After the Congress of Vienna had successfully maintained order, in 1830 the forces of change started to wreak havoc with the conservatives in Europe. In 1848, the nationalists and the liberals began to push for a new order, and in so doing, sparked the revolutions of 1848. Russia and Britain, however, had overcome revolution previously, thereby establishing new reforms prior to the Revolution of 1848. 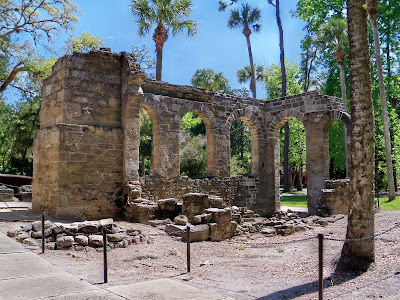 I set out today to visit Gamble Place at Spruce Creek in Port Orange, Florida today, however the buildings are undergoing restoration and maintenance. To be honest, I thought I had arrived in the wrong place, since I ended up at someone's private residence. I did, however, notice a visitor's center at Cracker Creek where I met a lovely lady that explained to me where I was actually at. 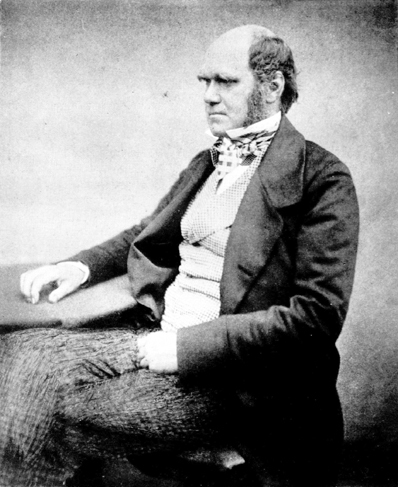 Charles Darwin, although thought of by evolutionists as a genius in his field, lived a lie built on the studies and research of past intellectuals. Darwin’s theories were built upon the findings of those that were given no credit in his published works, therefore he simply organized their thoughts into a book called “On the Origin of Species by Means of Natural Selection". His Theory of Evolution is a myth. It's not true. At least that's what a creationist will say. Who Were They During the Middle Ages? The Middle Ages were a time of great transition, artistic revelation, religious changes, and social transformations. The period covers an enormous amount of history starting from the 5th century until the 16th century. The perceptions of this period are greatly skewed, with many historians and archaeologists interpreting different traditions, literature, art, and architecture in many different ways. Read more: Who Were They During the Middle Ages? In the late 14th century and after the death of Pope Gregory XI, the college of cardinals met to elect a new pope. The citizens of Rome feared the return to a French Papacy if a Frenchman was elected. Not only that, the cardinals would open themselves up to attacks if they didn't choose an Italian. They safely elected Bari, who was crowned Pope Urban VI on Easter Sunday. The Tomb of Kazanlak dates back to the fourth century B.C.E and is that of an important chieftain of the Odrysae Tribe. The Odrysae occupied the southern part of the Thracian territory, now central Bulgaria. It’s located 5 miles from Seuthopolis and was surprisingly discovered by accident. When excavation began in 1944, a tholos-a tomb shaped like beehive was discovered intricately decorated with murals of Hellenistic art. Glamis Castle in Forfar, Scotland was the family home of Elizabeth Bowes Lyons, the late Queen Mother, and the birthplace of Princess Margaret. It's set in the "lowland valley of Strathmore, near Forfar, county town of Angus, which lies between the Sidlaw Hills to the south and the Grampian Mountains to the north, approximately 20 kilometres inland from the North Sea." In every culture throughout history there existed a certain concept of the dead. The Hawaiian concept was more specific with Polynesian ritual and beliefs pertaining to what they called "uhane". On certain occasions, these night marchers would come back for a special procession. Although the Scientific Revolution was associated with great accomplishments in astronomy, mathematics, and new scientific methods, we cannot ignore the great innovations in medicine. Medicine during the Middle Ages was greatly influenced by Galen who sought to study anatomy and physiology by using an animal as a cadaver; however this proved to be an insufficient model of the true anatomy of the human body. Furthermore, Galen’s hypothesis that the body had two blood systems and diseases could be cured by looking deeper into the four humors in the body proved to be grossly erroneous. When Paracelsus, Vesalius, and Harvey came onto the medical scene during the 16th and 17th century, medicine started to evolve into a more precise and exact science. 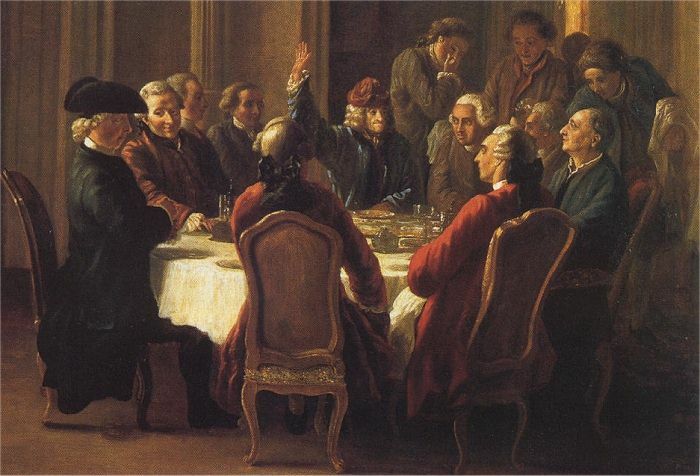 The philosophes, the French word for "Philosopher", were a combination of statesman, politicians, scientists, professors, and social reformers, to name a few. These men shared a common view. The ability to take philosophy and use it in a way that changes the outlook of a nation or the traditions and customs using a more direct approach. In 1139 Pope Innocent issued a bull placing the Templars under an exclusive vow of papal obedience - a measure by which Aimeric effectively put all Templar resources at the disposal of the papacy. As their list of properties lengthened with donations from Italy, Austria, Germany, Hungary and the Holy Land, the Templars built hundreds of stone castles. Convinced they were building a new world, the Templars called each other frere macon (brother mason). Later this was anglicized into Freemason. During the immediate postwar period, the Soviet Union first rebuilt and then expanded its economy, while maintaining centralization of communism. The Soviet Union aided post-war reconstruction in the countries of Eastern Europe while turning them into Soviet satellite states and founded the Warsaw Pact in 1955. Later, the Comecon supplied aid to the eventually victorious Communists in the People's Republic of China, and saw its influence grow elsewhere in the world. Amongst these successes, there were still political upheavals occurring during the reign of Stalin and Khrushchev, therefore leading to some significant, withstanding changes in Eastern Europe. Liberalism, such as parliaments and constitutions, during the 19th century was making great strides in the western European states. Mass politics, due to the emergence of a mass society during the Second Industrial Revolution, paved the way for ordinary citizens to be involved in the everyday operations of political life. Therefore, while reforms encouraged expansion of political democracy through voting rights for men, one Liberal leader was hindering the political and ideological movement towards modernization, and later on the spread of liberalism would be affected by the creation of new political parties. The Cave of the Apocalypse can be found on the rocky island of Patmos, deep within the monastery that surrounds it. Patmos is located north of the Greek Islands, off the southwest coast of Turkey. Many believe that St. John or John the Apostle as most people know him, lived here between Chora and Skala. Just above the Arctic Circle, north of Norway, there lies a series of rock carvings, otherwise known as petroglyphs, dating back as far as 4200 BCE. The Alta Rock carvings, similar to other pre-historic paintings, depict a culture consisting of hunter gatherers. The carvings have been linked to the descendants of the Komsa, a Stone Age society late significantly increased in number during the late Ice Age. Nothing amazes me more than a temple or building constructed entirely out of stone. Carved into the mountains like Al Khazneh. The Lycian Tombs numbering close to 1100. The Longmen Grottoes in China. They’re a magnificent feat of engineering, representing the pinnacle of stone masonry. I always wondered why they were built into the sides of mountains and why the stones quarried are so massive in size. Don’t you wonder this as well? How did they do it exactly? 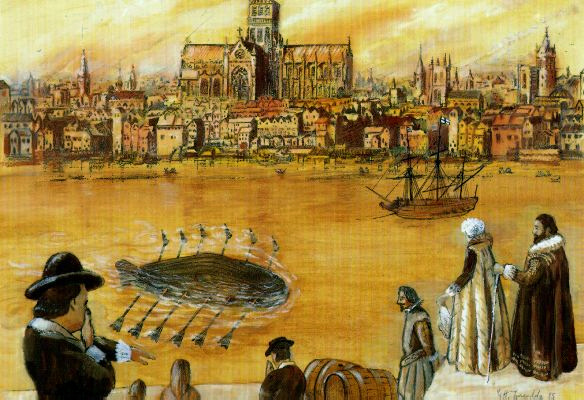 In 1620, Cornelius Drebbel, a Dutch inventor working for the English Royal Navy, tested the first submarine on the Thames River in England. Between 1620 and 1624 Drebbel successfully built and tested two more submarines, each one bigger than the last. The Teatro Olimpico, located in Vicenza, northern Italy, was constructed in 1580-1585 AD. The theater is one of three of the world’s oldest surviving Renaissance theaters and is the world’s oldest indoor theater.The Teatro Olimpico is the last work of renowned architect Andrea Palladio. She hit an iceberg and sank, in one of the most epic tragedies of all time. 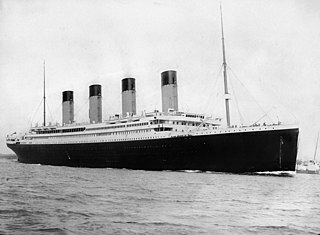 Nearly 100 years later tales of the RMS Titanic remains legendary. Perhaps the work of James Cameron and Leo Di Caprio can be credited for bringing the story of this ill-fated trip to mainstream popular culture. Or perhaps, even without a multi-billion dollar blockbuster our morbid human curiosities would still keep us entranced by this sunken piece of history. Roman architecture is classical and hardly practical. 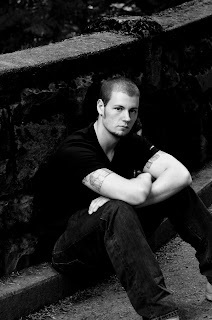 It could be described as masculine in a sense, with a hint of solitude. No matter how we interpret the structure, we can all agree that it exhibited a solid foundation and architectural form. The Sumerian cities were surrounded by walls, much like the Forbidden City, as a way to keep their culture secret and sacred. Sumerian city dwellings were constructed out of sun-dried bricks, including peasant quarters and the larger dwellings of priestly and civic officials. The White Star Line was a British shipping company most famous for its ill fated flag ship the RMS Titanic and World War I sister ship, Britannic. The White Star Line was originally founded in Liverpool in 1845 by John Pilkington and Henry Wilson. The company's initial focus was on the Australian gold mine trade. Scientists working in Norway’s Jotunheimen mountain range have been reaping the benefits of climate change, taking advantage of warmer conditions to make an exciting archaeological discovery whose implications may help to reconstruct the region’s ancient society. The symbolism and structure of ritual can be a confusing subject for anyone. As a culture, if we subscribe to a particular religion, it's often hard to put our ethnocentric views in our pocket and appreciate religion for what it is. What is religion you ask? The Hutterites have established a strict colonized community where, if given the chance and opportunity, larger cultures would fail at infiltrating the communal surroundings. Why you ask? The main reason is because of isolation. The Hutterites have gone to great lengths to section themselves off and give outsiders no reason to interfere. Clifford Geertz argued for a broader psychological analysis of religion. He approaches the subject using sociology, history, and semantics to arrive at the notion, religion should be studied using a mature theory of religion. Thus, this will integrate certain approaches into a more comparative and conceptual system. He relates his findings to "primitive thought", making comparisons to western and non-western societal groups, thus concreting the subject's influence in the anthropological approach to religion. In biology, a phylogeny is the historical evolution of an organism as understood by ancestor and descendant relationships. Phylogenies help biologists plot and understand how a given organism has arrived at its present condition, giving valuable insight into the evolutionary process. By now, you're probably wondering whether or not you've arrived at the Ancient Digger page, but you're right – this is an anthropological blog. So how does evolutionary biology fit into the picture? Tunisia, officially the Tunisian Republic, is situated in northern Africa and is bordered by Algeria to the west, Libya to the southeast, and the Mediterranean Sea to the north and east. Its area is almost 165,000 km², with an estimated population of just over 10.3 million. Its name is derived from the capital Tunis located in the north-east. Throughout the millennia there have been thousands of individual cultures – from small tribal groups to cultures that spread across the globe. Just 100 years ago, “The sun never set on the British Empire” with Britain’s expansive commonwealth spread from Australia to India to South Africa across the Atlantic to Canada. Today, the UK, while still an chief player on the world stage, no longer maintains a global empire. Putna Monastery took three years to build on land bordering the Putna River in Bukovina River. Construction of the Romanian Orthodox monastery was overseen by Prince Stephen the Great, ruler of Moldavia from 1457 to 1504.